In the 1960s, art patrons Dominique and Jean de Menil founded an image archive showing the ways that people of African descent have been represented in Western art from the ancient world to modern times. Highlights from the image archive, accompanied by essays written by major scholars, appeared in three large-format volumes, consisting of one or more books, that quickly became collector's items. A half-century later, Harvard University Press and the Du Bois Institute are proud to have republished five of the original books and to present five completely new ones, extending the series into the twentieth century. The Impact of Africa, the first of two books on the twentieth century, looks at changes in the Western perspective on African art and the representation of Africans, and the paradox of their interpretation as simultaneously "primitive" and "modern." 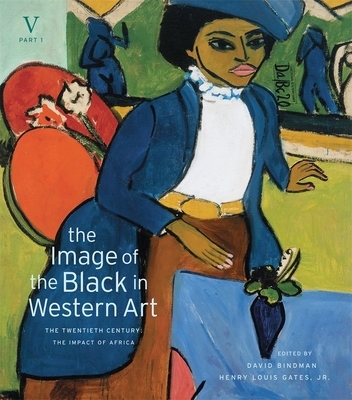 The essays include topics such as the new medium of photography, African influences on Picasso and on Josephine Baker's impression of 1920s Paris, and the influential contribution of artists from the Caribbean and Latin American diasporas.